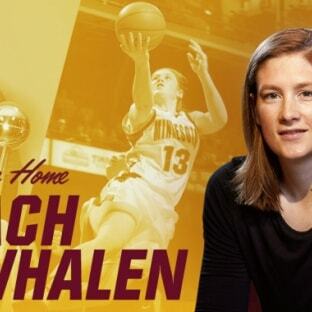 MINNEAPOLIS –– Mark Coyle announced Thursday that Lindsay Whalen, one of the most decorated players in women’s basketball history, will return to the University of Minnesota as the new head women’s basketball coach at her alma mater. As part of Whalen’s agreement to become head coach, which is pending approval from the University’s Board of Regents, she will continue to play for the Minnesota Lynx. Previously, Whalen announced in February that she was retiring from international competition. She had played for the U.S. National team since 2002, joining Team USA following her sophomore season with the Gophers. Whalen returns to those same Gophers after destroying the program’s record book in the early 2000s, finishing her career as Minnesota’s all-time points leader, along with being second all-time in assists and third all-time in steals. A four-time all-state selection at Hutchinson High School, about an hour west of Minneapolis, Whalen went on to become the catalyst for the most successful seasons in the history of Gopher women’s basketball. Congrats on being named @GopherWBB Head Coach, @Lindsay_13!